The above article appeared in the May, 2013 edition of the New England Journal of Medicine but is still a subject matter of great debate in the orthopedic community. The major reason for the continued debate has to do with arthritis and the nature of the meniscal tear. In the study cited, 351 symptomatic patients 45 years or older with a meniscal tear and evidence of mild to moderate osteoarthritis were followed for up to 12 months using the same outcomes measurement modalities that I use in my Regenerative Medicine practice. The end result indicated no difference in outcomes for those who underwent arthroscopy and physical therapy as compared to those who underwent physical therapy alone. In analyzing the study, there is no emphasis placed on the nature of the clinical tear or whether the osteoarthritis affects the entire joint or only a single compartment. 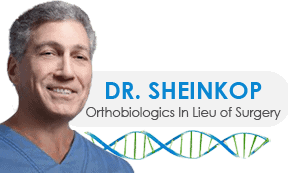 What allows me to opine on the subject is my 40-year experience in treating the same type of patients prior to my having graduated to Cellular Orthopedics. During my surgical career, I used arthroscopic surgery when indicated and joint replacement, both total and partial when the latter were deemed appropriate. Now I use stem cells derived from bone marrow in almost every setting as there is evidence that the regenerative potential inherent in bone marrow concentrate will significantly impact the outcomes of patients with a degenerative meniscal tear with associated degenerative arthritis. Be aware that the vast majority of patients over age 45 will show meniscal changes on an MRI. Also be aware that the vast majority of those meniscal changes will be accompanied by arthritic changes in the articular cartilage of the knee. The only absolute indication for arthroscopic intervention is the mechanical symptom such as “clunking”, locking or giving way. Otherwise, it is the judgement of the orthopedic surgeon that will lead to the definitive recommendation. Therein is the problem as the reconstructive orthopedic surgeon will tend to make one type of recommendation while the sports medicine oriented arthroscopist will tend to be surgically oriented. If any cohort of patients with osteoarthritis and a degenerative meniscal tear is followed for five to ten years, progressive arthritic changes will be documented via a history and physical as well as via imaging studies. There is only one way to date to potentially alter this natural history and that is by intervening with stem cells and putting their regenerative potential into effect. If not addressed early on, those knee joint changes will result in an eventual grade four osteoarthritic degeneration and an indication for a knee replacement be it partial or total.